The renovation of New York’s LaGuardia Airport will take a major step forward on Saturday with the opening of a new concourse at Terminal B. The USD$8 billion project to rebuild the ageing airport was unveiled in 2015, with construction starting the following year. Terminal B is expected to be completed in 2022. The completely redeveloped terminal will replace the obsolete building that opened over 50 years ago. It will have 35 gates when completed, with the first 11 set to open on Saturday, December 1. An additional seven gates will be completed in early 2020. The total cost for the new terminal is $4 billion. 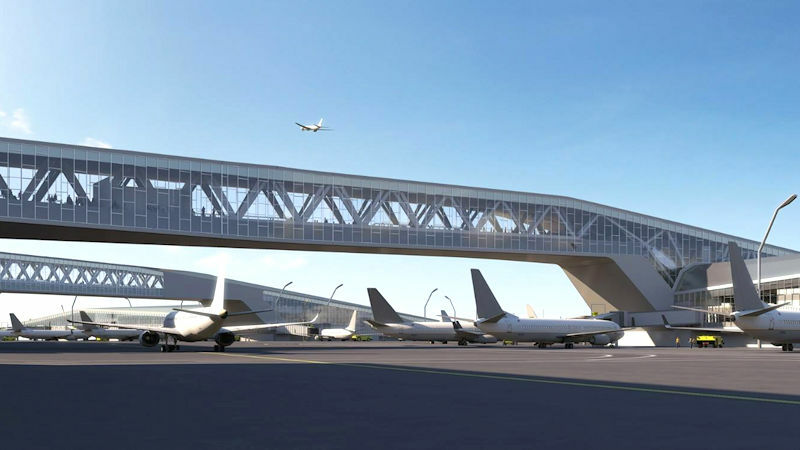 The terminal will have two pedestrian bridges that will straddle aircraft taxi lanes, giving passengers a unique view of the airport and the Manhattan skyline. “The opening of the first new concourse and gates at Terminal B marks another significant milestone in the transformation of LaGuardia Airport into a modern, global gateway that is worthy of the State of New York,” New York Governor Andrew Cuomo said. The new concourse will have more than a dozen concessions including New York-inspired food, beverage and retail options. Passengers will be able to order food for delivery straight to their gate. 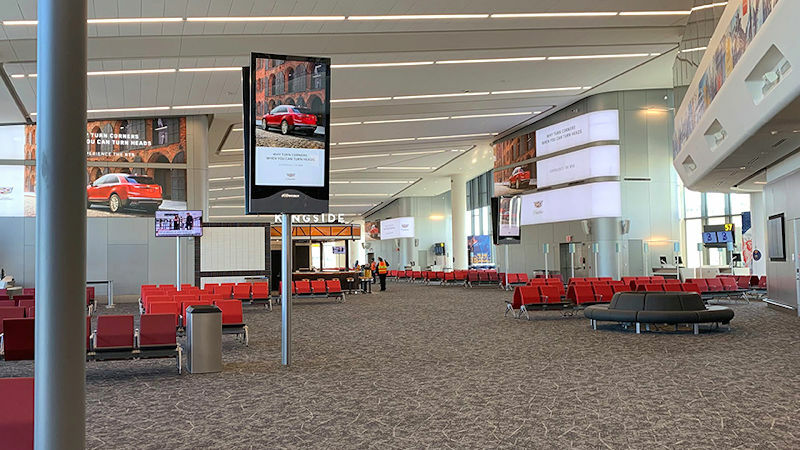 The 840,000-square-foot Terminal B will be home to Air Canada, American Airlines, Southwest Airlines and United Airlines, with American moving into the new concourse in time to launch flights there on Saturday. In addition to Terminal B, the new Terminal C will rise out of the existing C and D terminals on the eastern side of the airport. Home to Delta Air Lines, the $4 billion building will open in 2021 and will host 37 gates when it is completed. 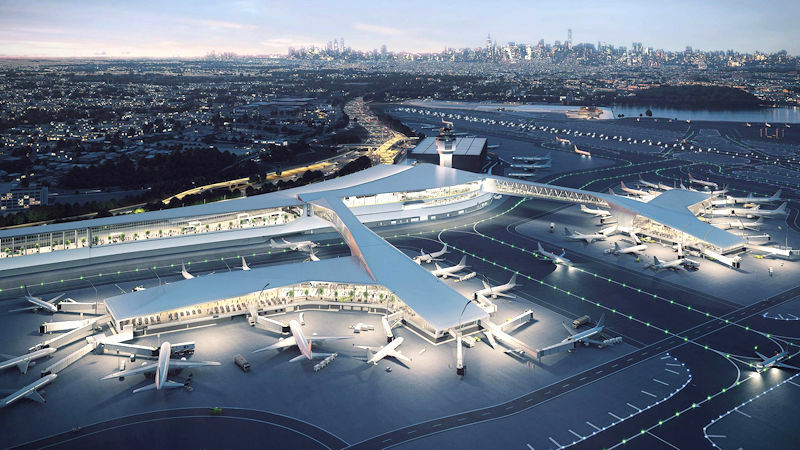 The “new” LaGuardia will cover 2.7 million square feet in total, with 72 new gates across six concourses. There will be two new terminal arrivals and departures halls connected by a central hall, and 13.7 miles of new access roads.